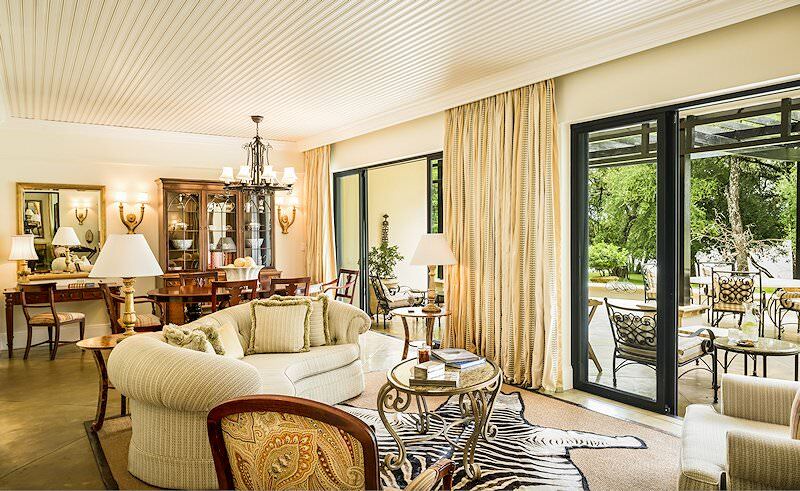 The Royal Livingstone is the premier luxury accommodation near the Victoria Falls. 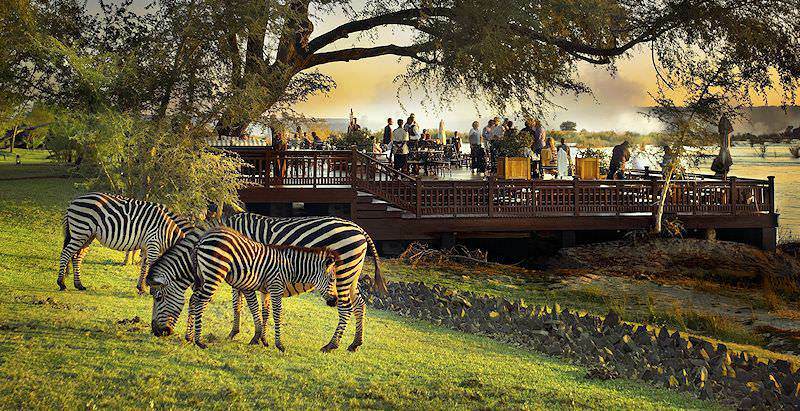 The Royal Livingstone is found on the edge of the Zambezi River, with spectacular views of the beautiful surroundings near the Victoria Falls, the most visited tourist attraction in Zambia. The hotel is the finest hotel in the area. It offers stylish accommodation, with the falls only a few hundred meters downstream. The spray cloud created by this mighty waterfall is visible from the hotel deck and grounds. 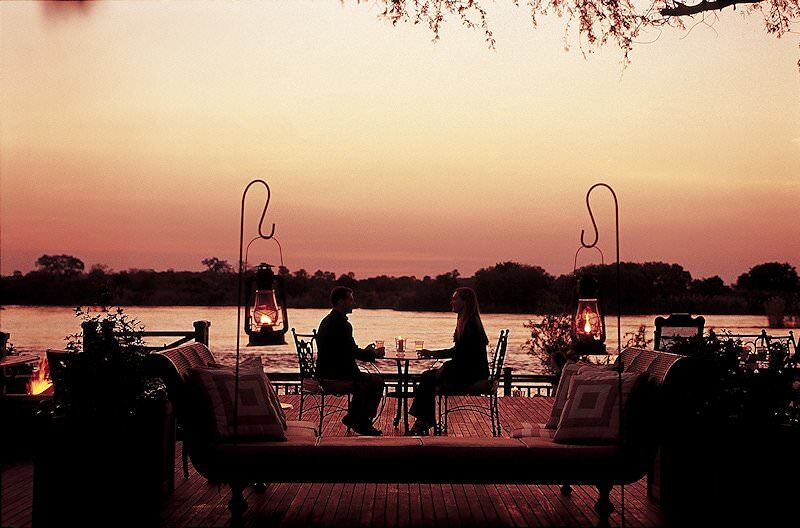 The Royal Livingstone is named after the famous British explore Sir David Livingstone. 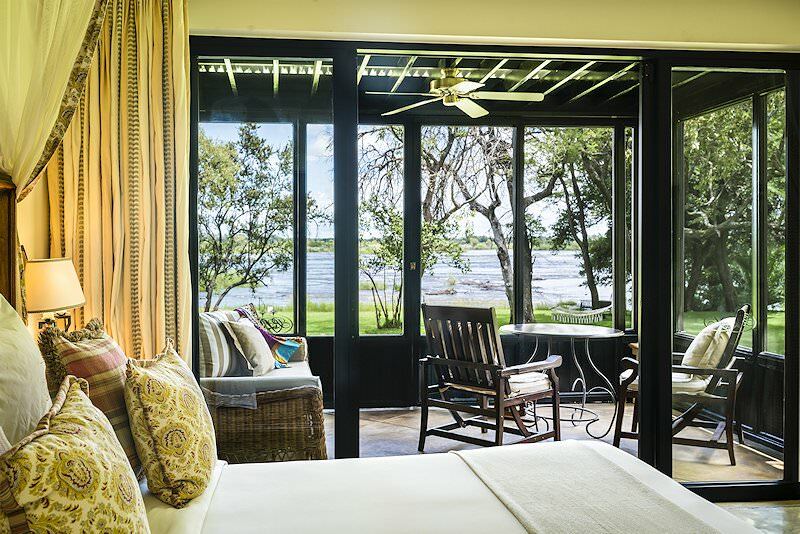 173 spacious rooms with private verandas extend along the river bank. The en suite bathrooms are large, with showers and Victorian baths to complement the luxury of the bedrooms. The units also feature crisp white linen and large comfortable beds. There are three suites available that offer a separate lounge and bedroom. Cots can be provided for the little ones upon request. This hotel can accommodate the whole family in style. 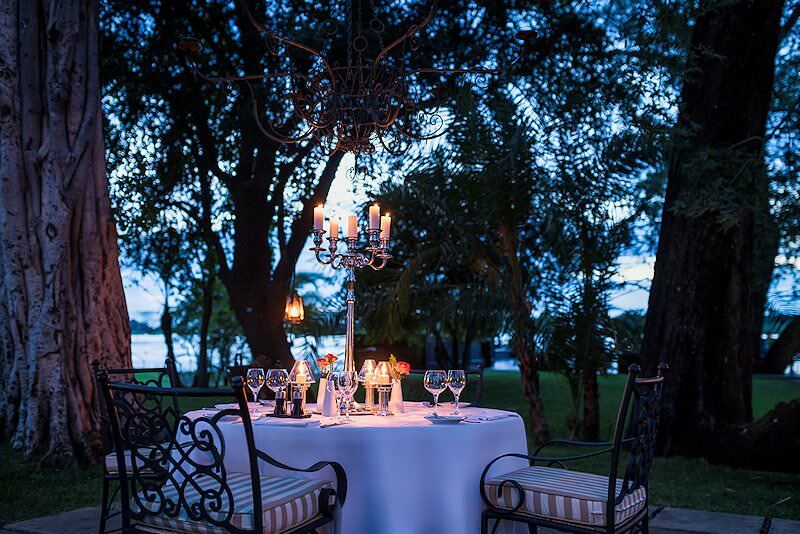 Dining at the Royal Livingstone is almost like going back in time. Here you will enjoy old world style combined with exceptional cuisine. Delicious breakfasts and a la carte dinners are served in the restaurant. Lunches are kept light, and are served al fresco on the veranda. 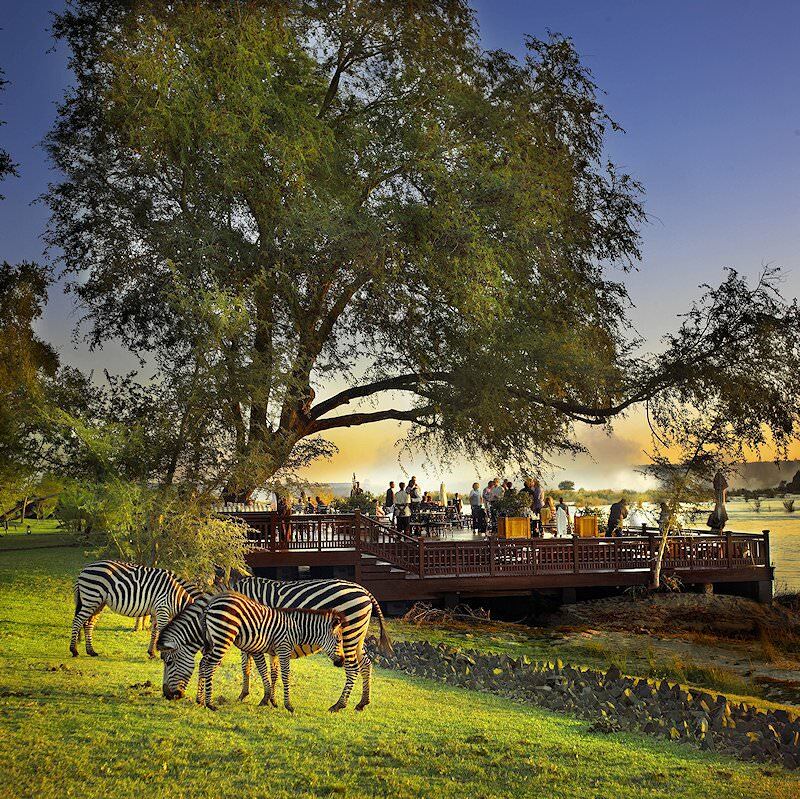 The deck that is built almost into the river is an ideal venue for enjoying sundowner drinks and light snacks while savoring one of most impressive views in the world. The Royal Livingstone is a fine five star hotel. Its decoration and style is very colonial and for a hotel of its size, I must say that it creates a wonderfully relaxed ambiance. 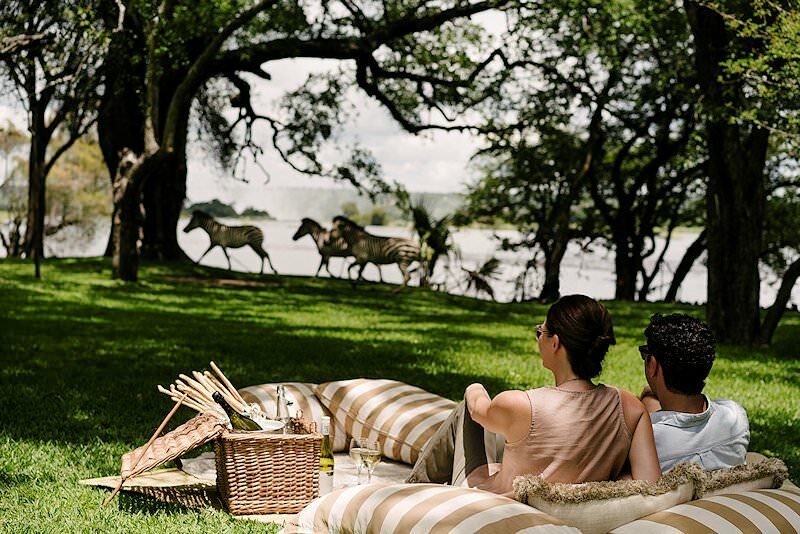 The facilities and amenities are first-class and the setting on the banks of the Zambezi River is superb. 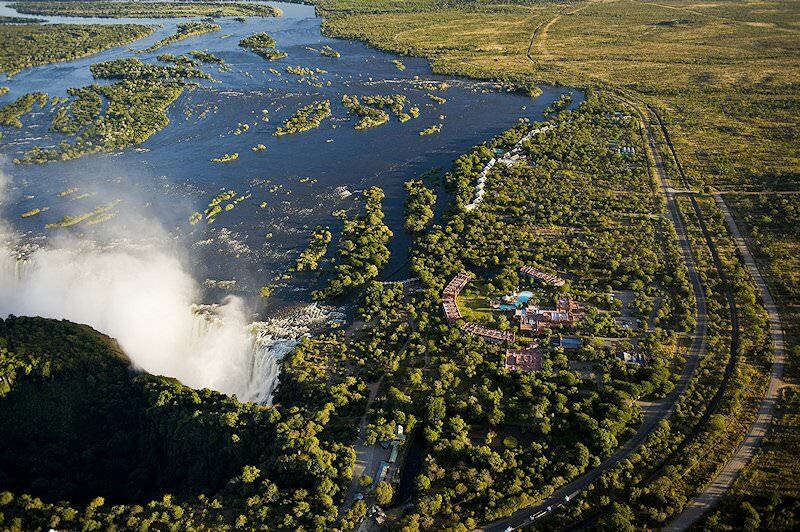 The Victoria Falls are a stone&apos;s throw away. The spray cloud created by the falls can be clearly viewed from a deck in the hotel&apos;s garden, that extends almost into the river. This deck is one of my favorite places in Africa to enjoy sundowner drinks. 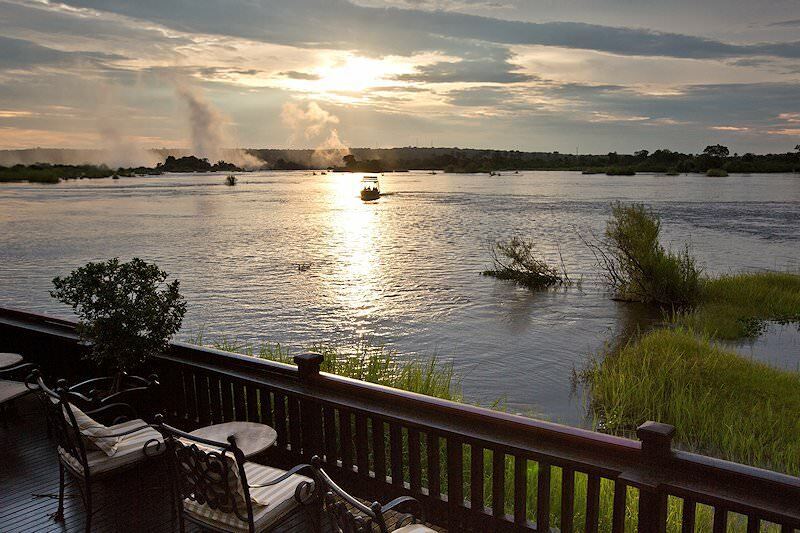 I highly recommend enjoying a G&T (the local favorite) watching the sun set over the mighty Zambezi. 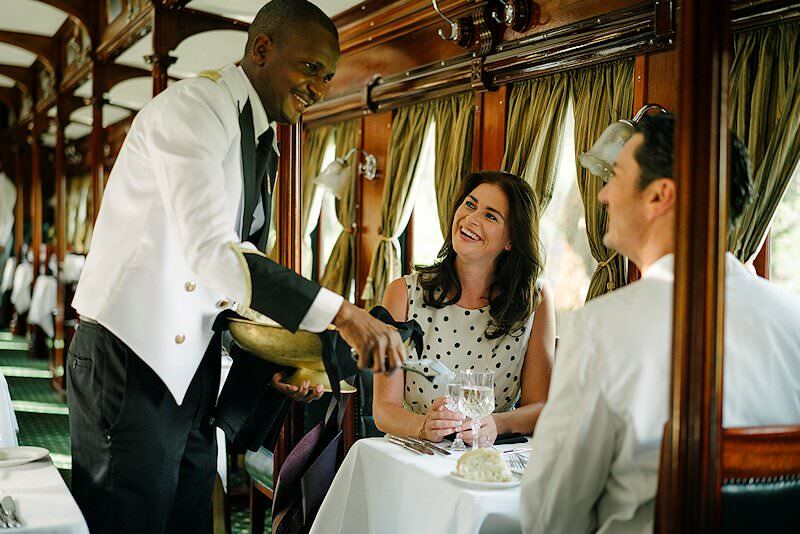 South Africa's top safari destinations include Kruger Park and Addo. Botswana safaris offer the opportunity for visitors to enjoy water-based game viewing. Namibia's arid wilderness areas make for surprisingly rewarding safaris. 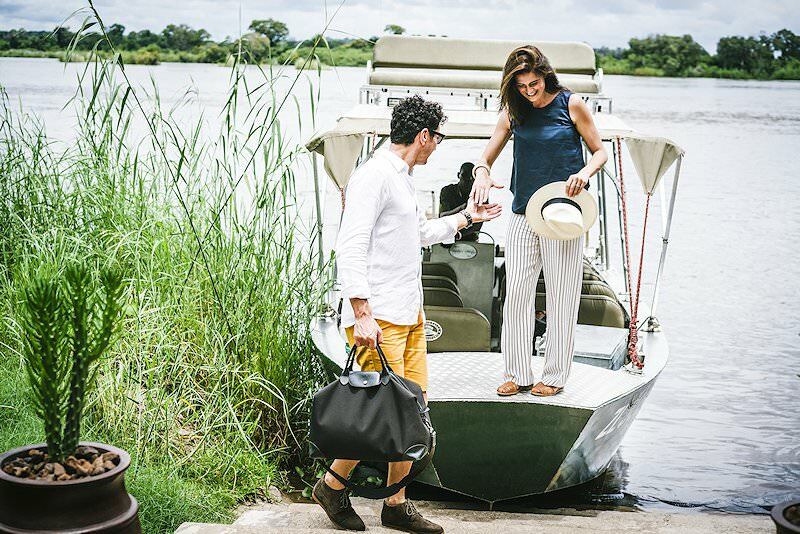 Zambia's far-flung safari areas range from the immense Kafue to the riverine South Luangwa. 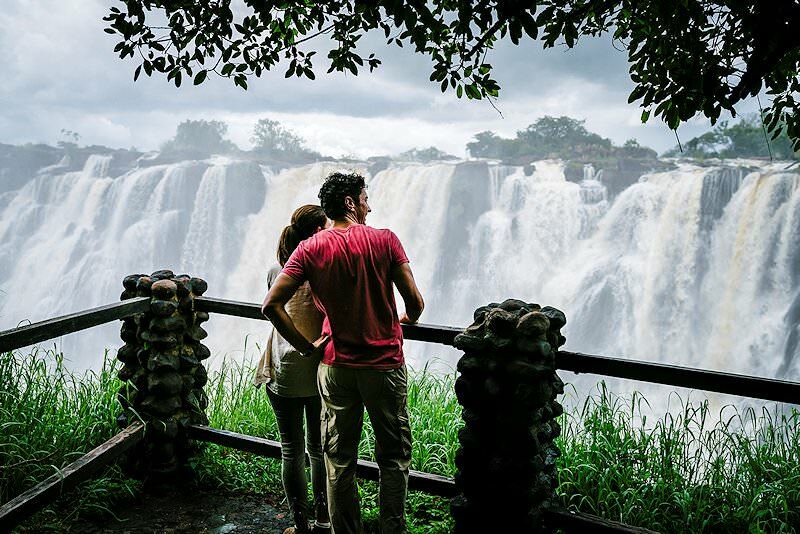 Zimbabwe is revered for its exceptional vistas of the Victoria Falls. Mozambique's coastline is caressed by the warm waters of the Indian Ocean. The Kruger National Park is a highly sought-after safari destination, appealing to a wide variety of travelers and budgets. A luxury safari offers an attractive combination of lavish accommodation and remote wilderness areas replete with wildlife. Africa's illustrious Big Five include the lion, the leopard, the African elephant, the Cape buffalo and the black rhinoceros. 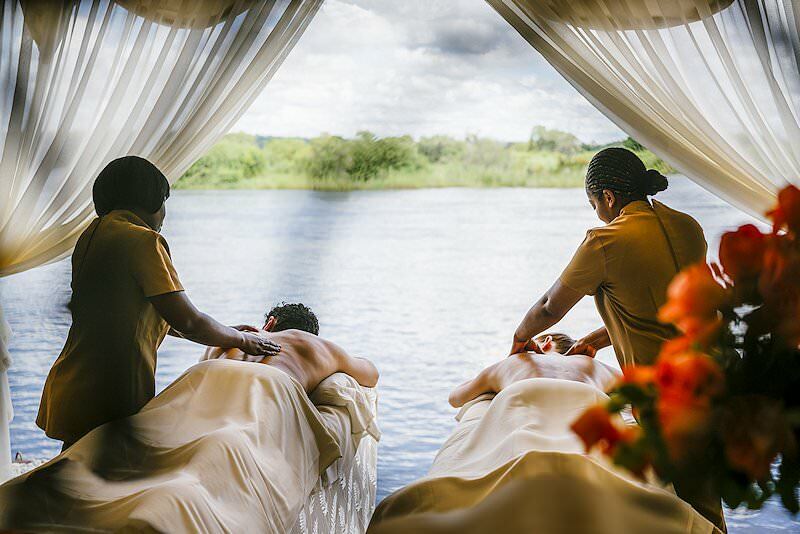 A stay at an African lodge will often include pampering extras, like additional outdoor showers and private plunge pools.